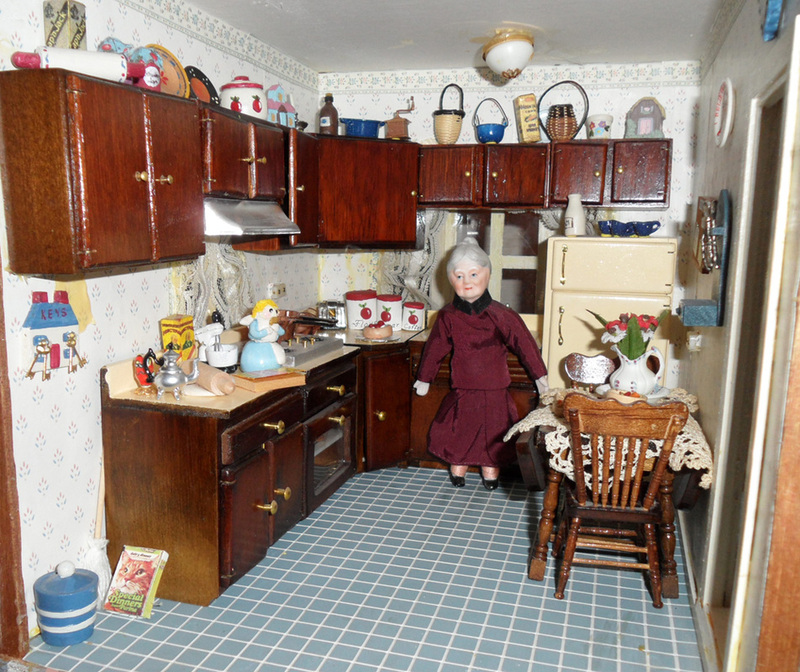 This colonial house is the only electrified house I own. 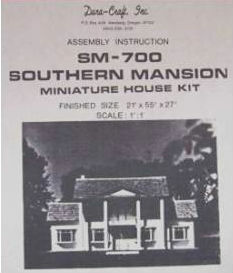 It was made from a Duracraft kit in 1990. 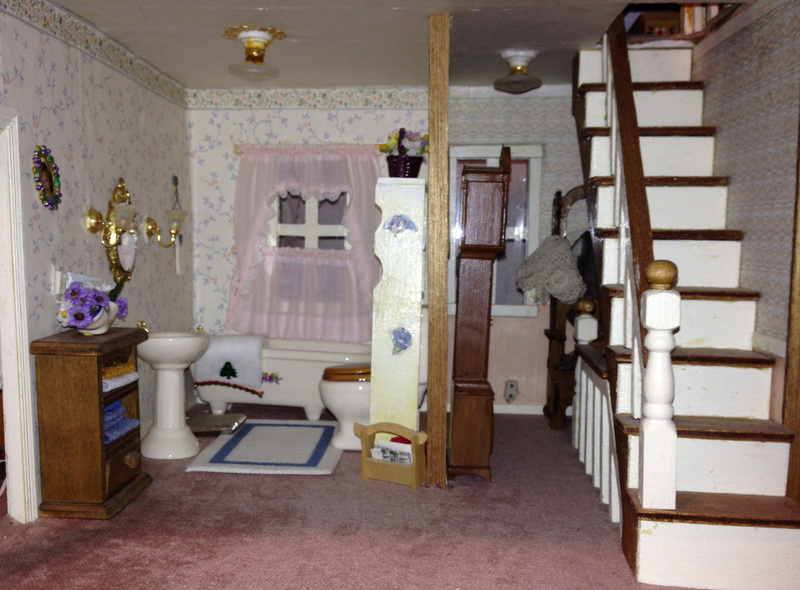 My mom built this house, but later offered it to me. 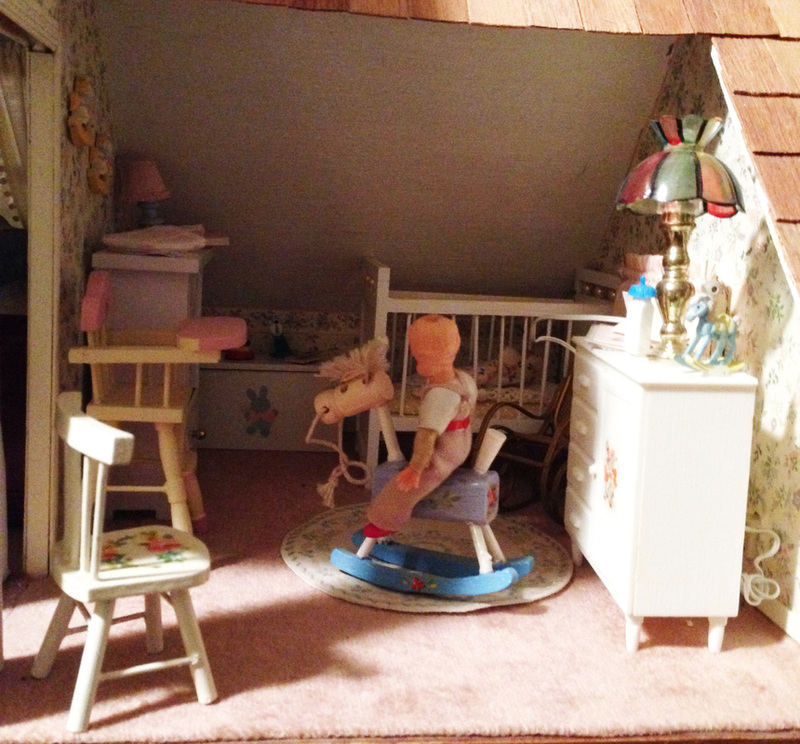 My dad did the electrical wiring. 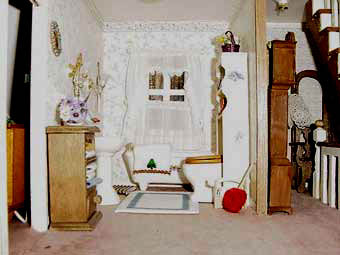 The interior was designed by my mom. 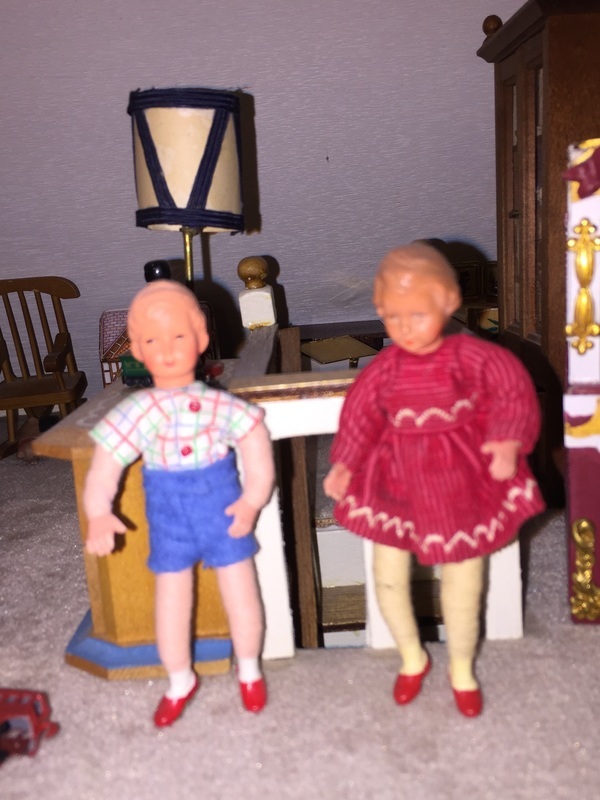 The children are by Caco. 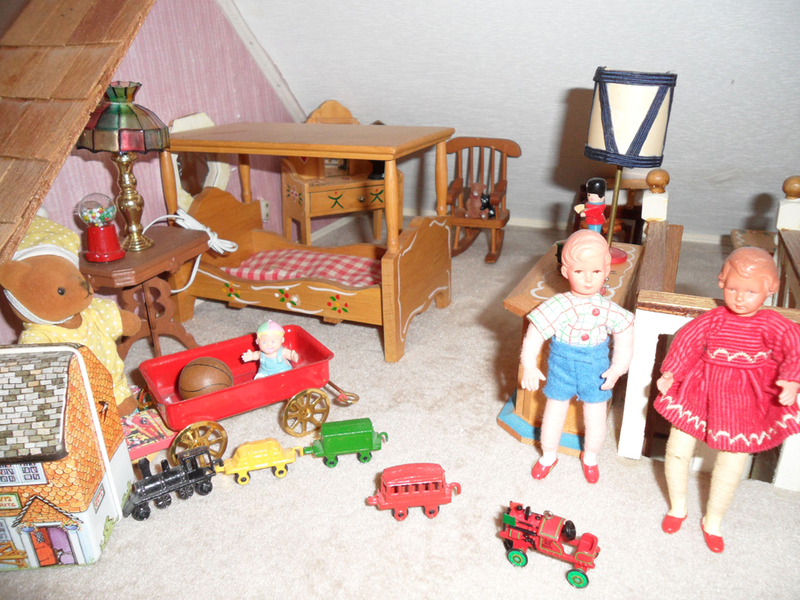 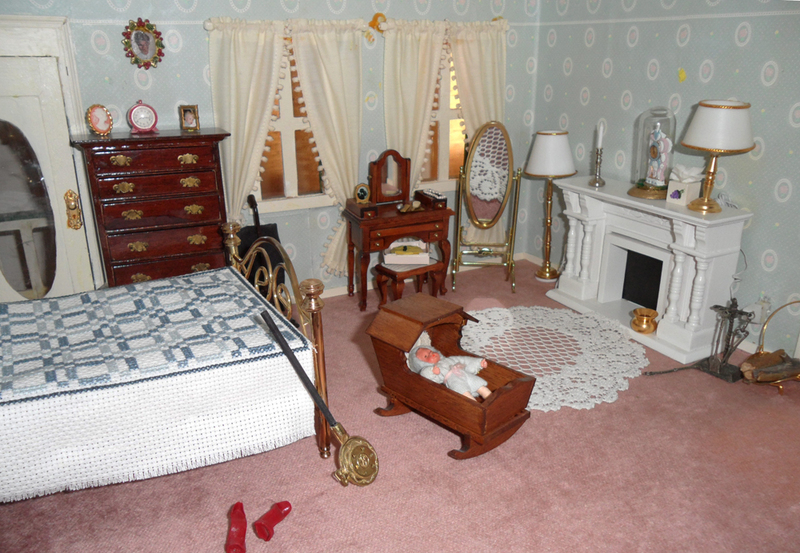 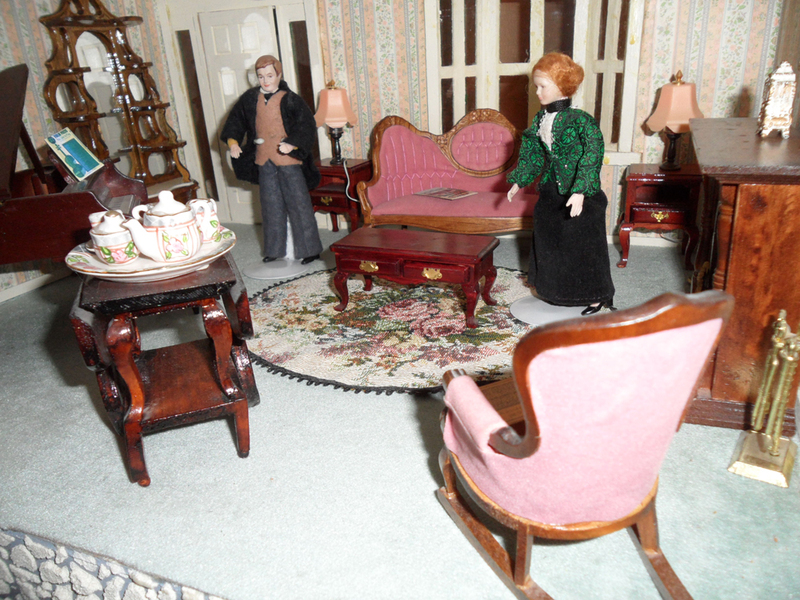 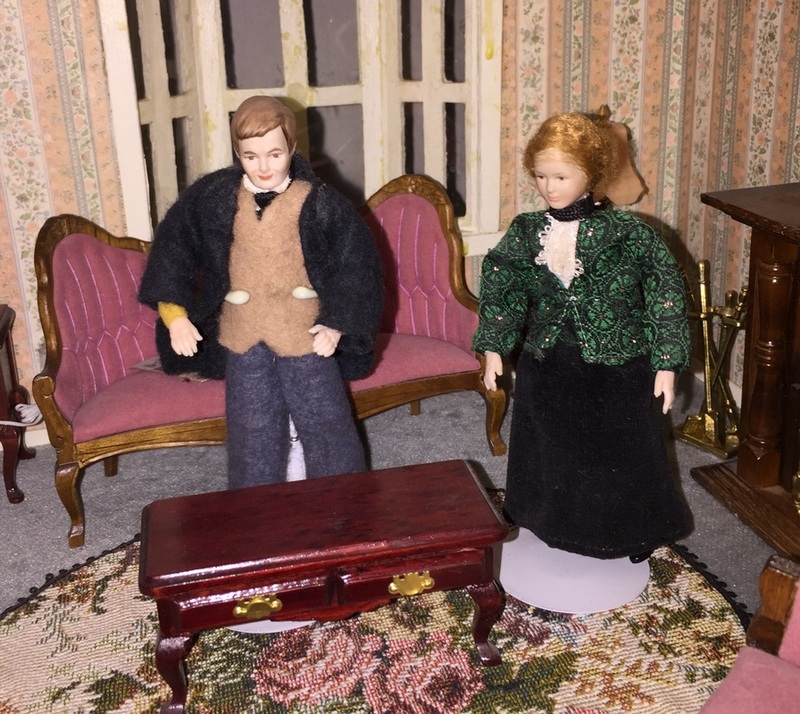 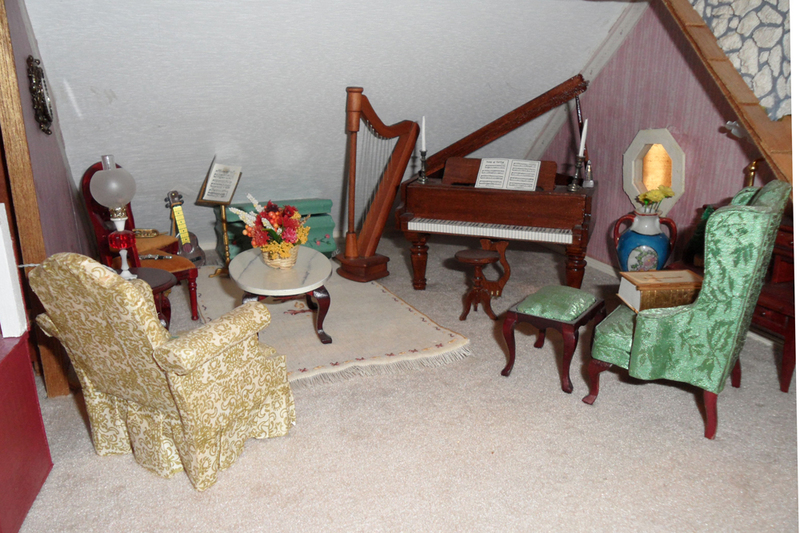 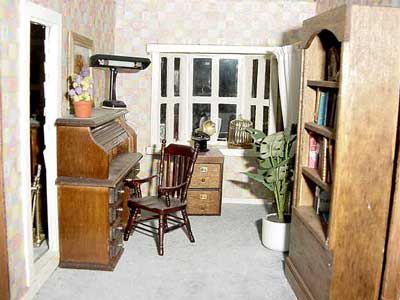 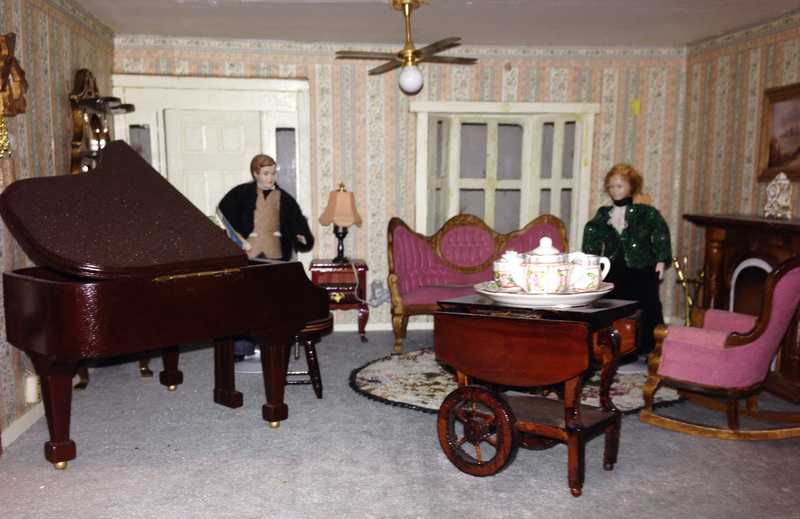 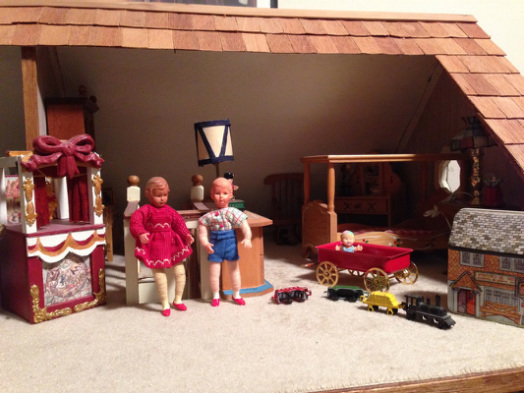 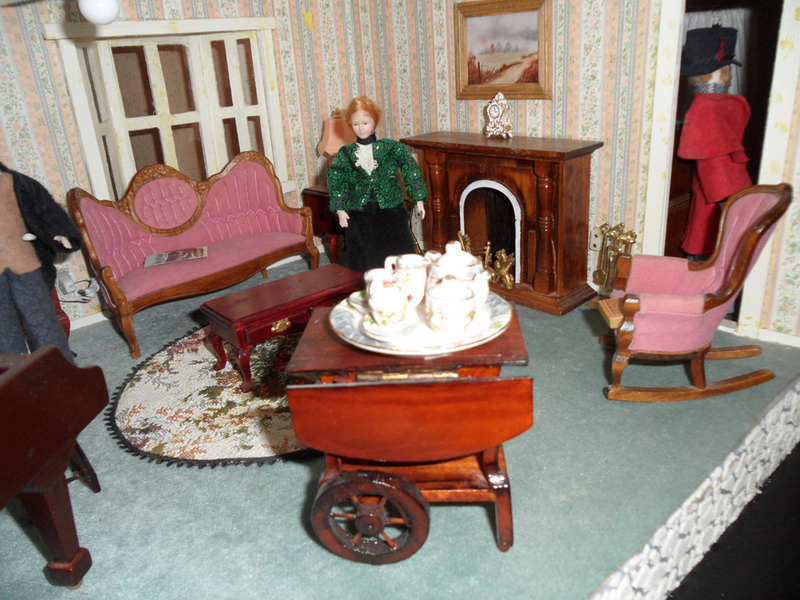 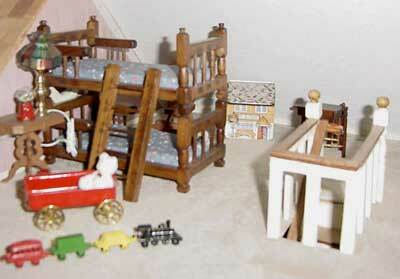 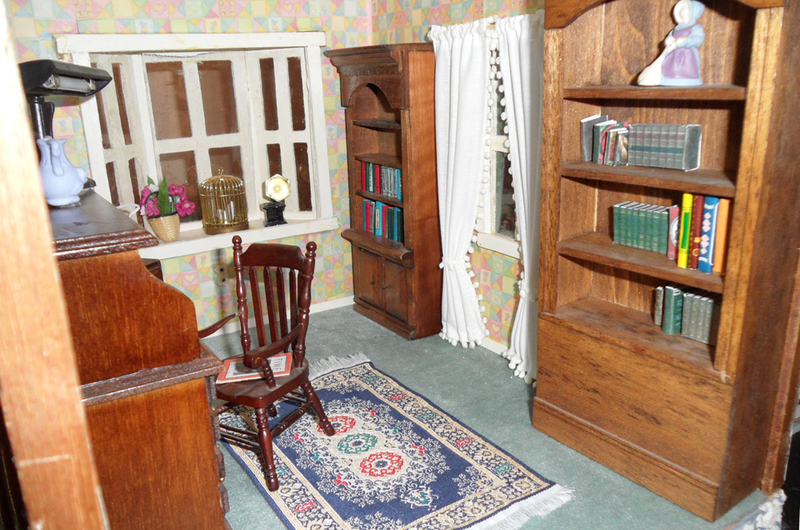 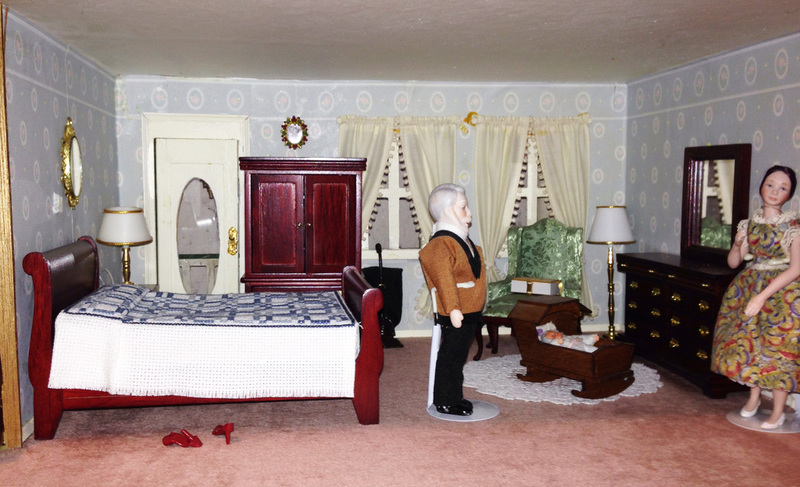 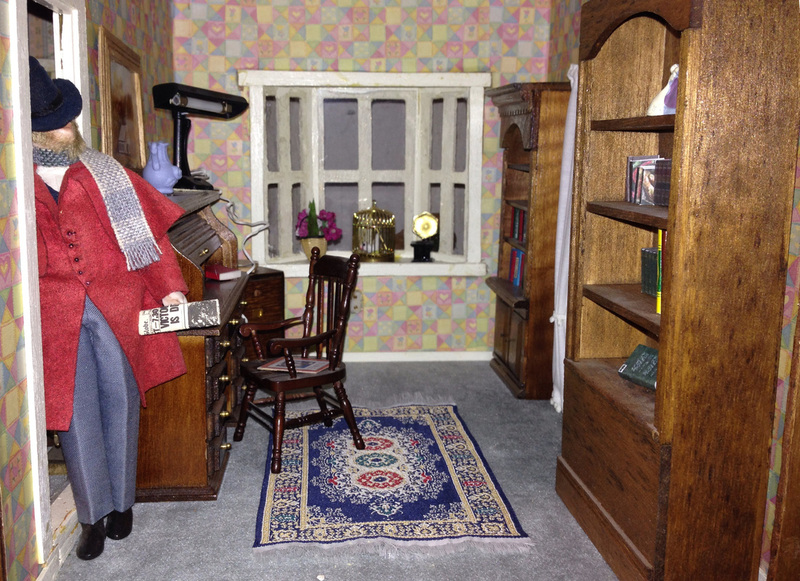 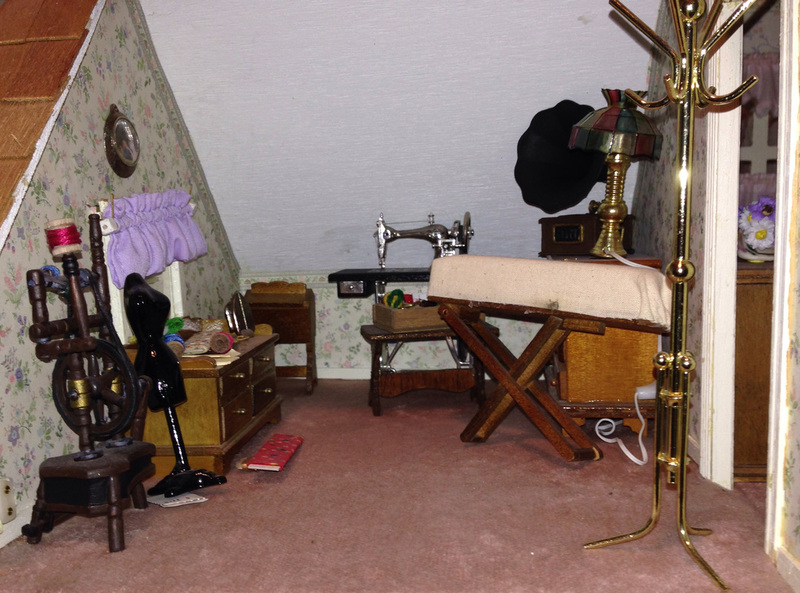 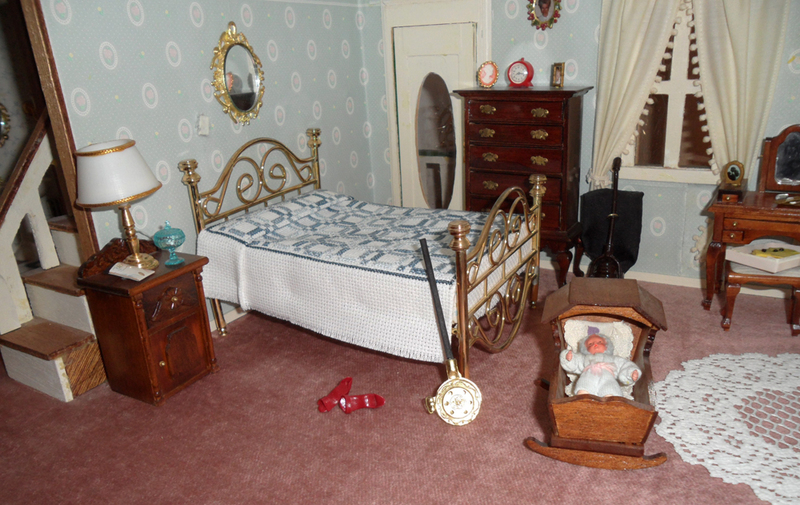 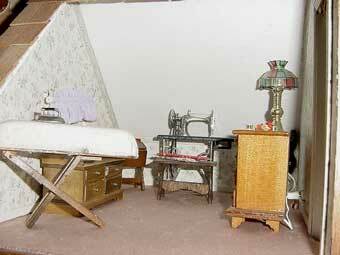 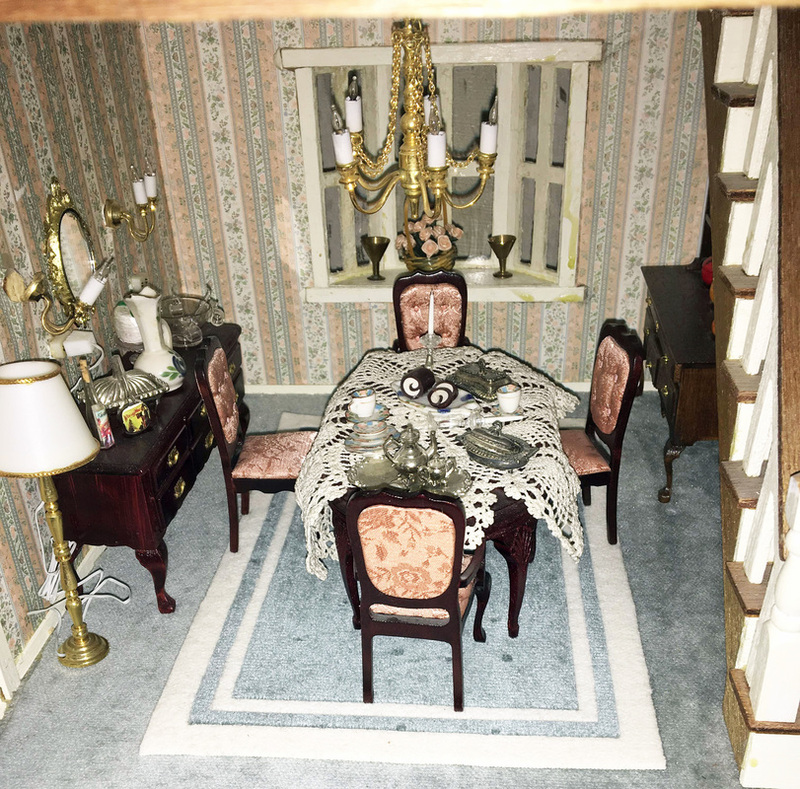 Some of the bedroom furniture is Dora Kuhn Germany Barvarian Dollhouse furniture, circa 1950s. 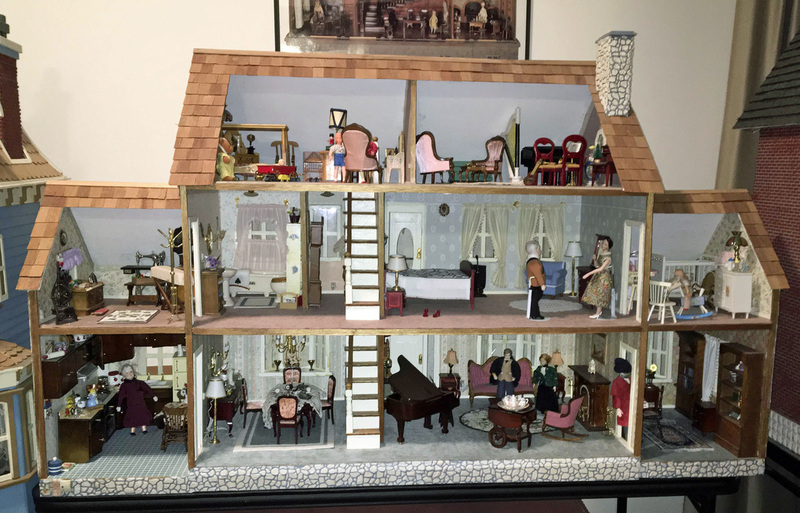 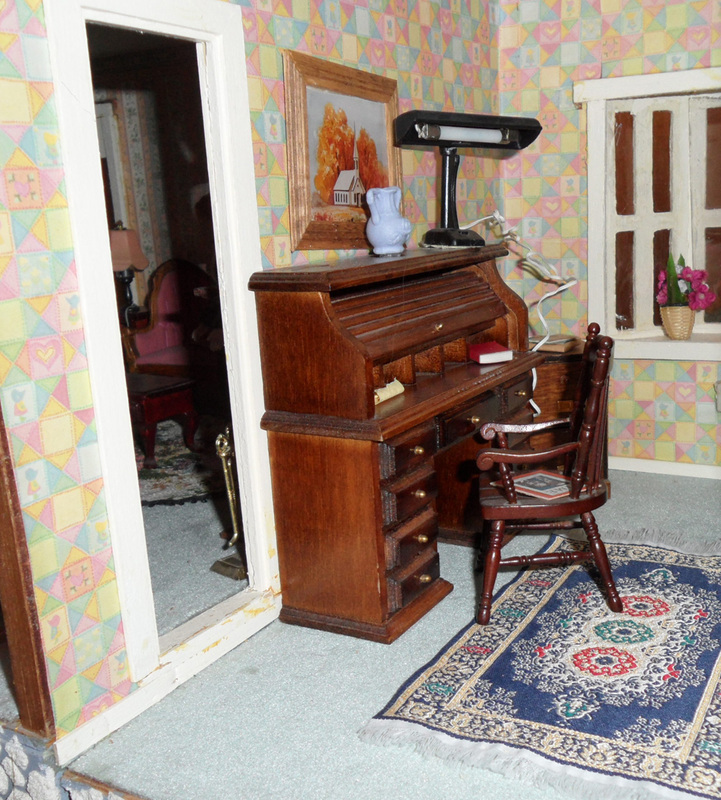 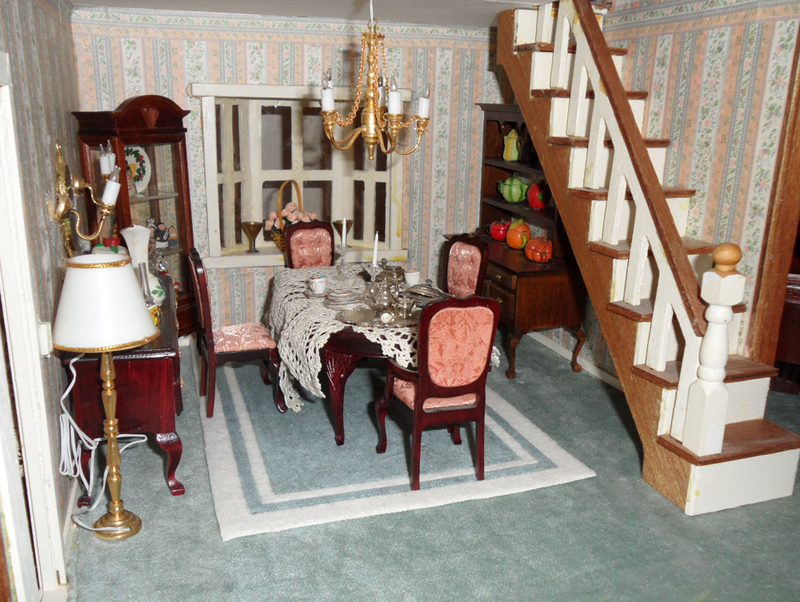 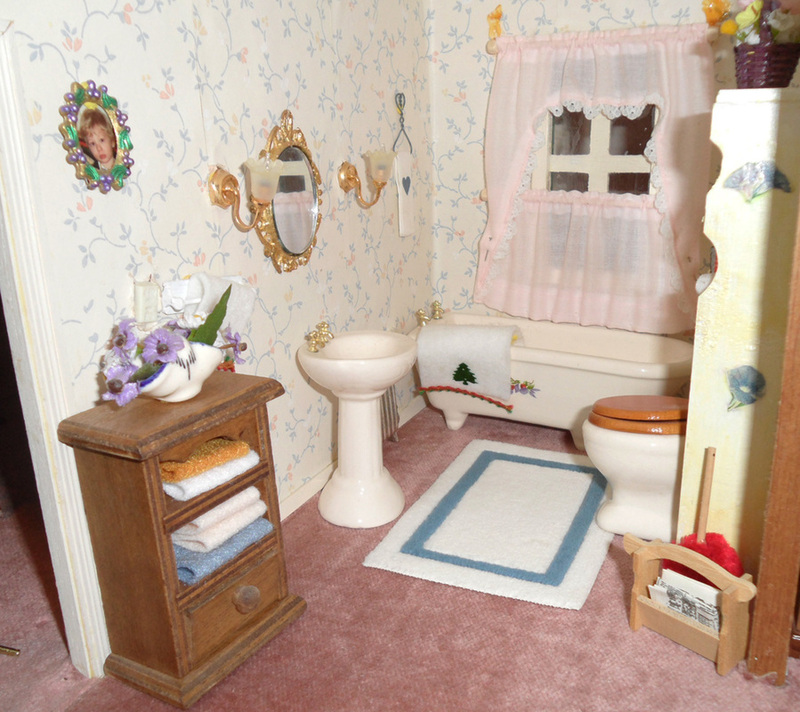 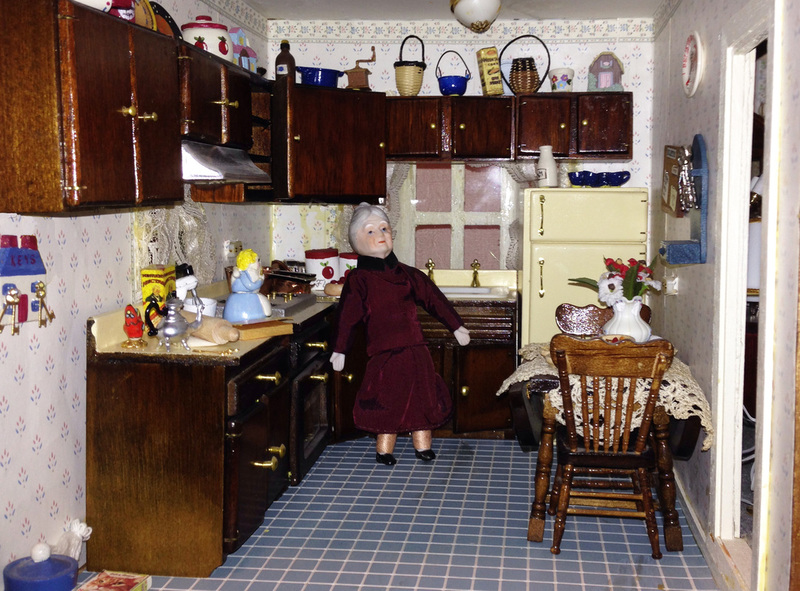 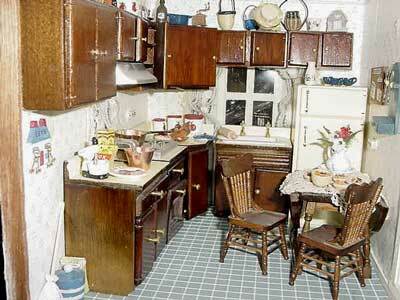 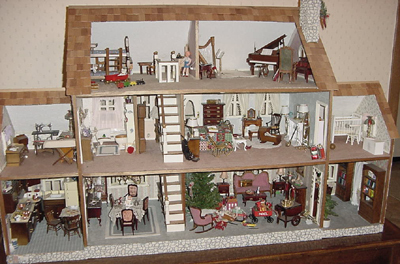 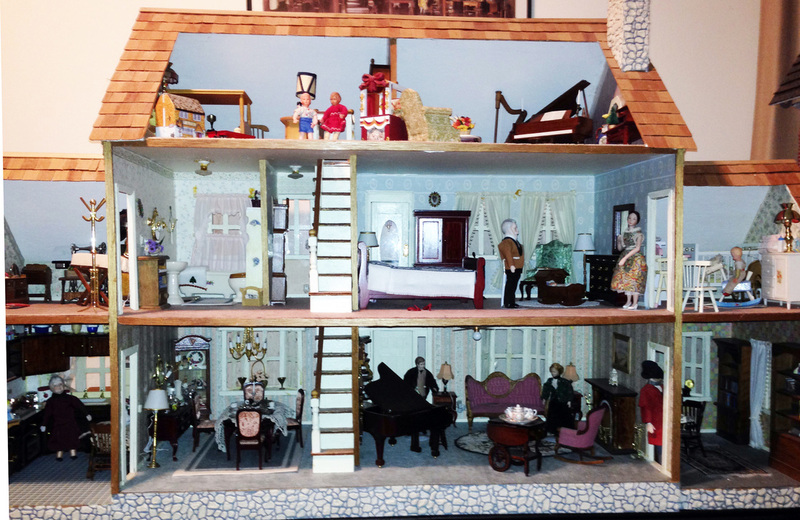 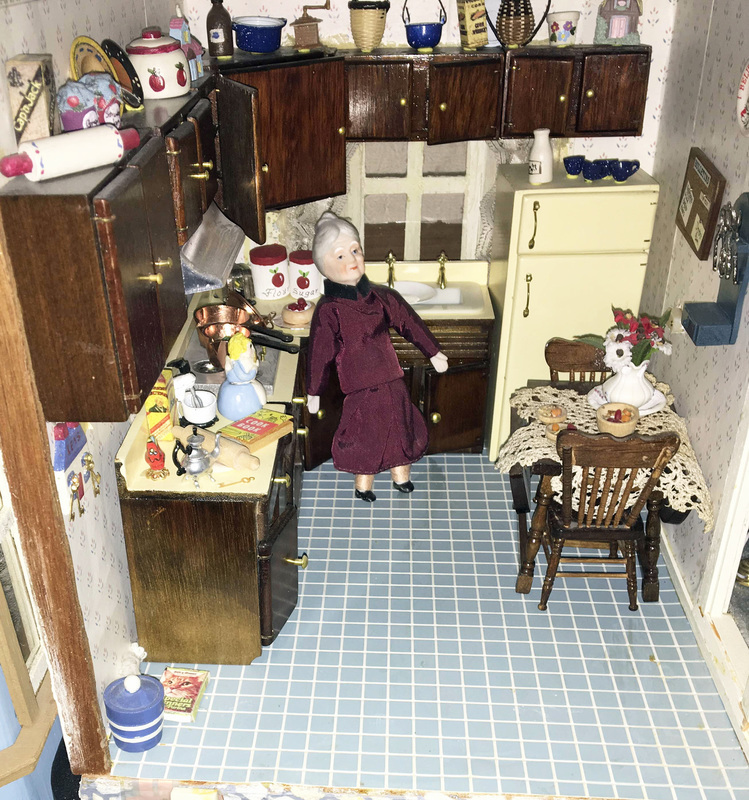 The little tin dollhouse in the back of this room is one of several that I found at a Pottery Barn. 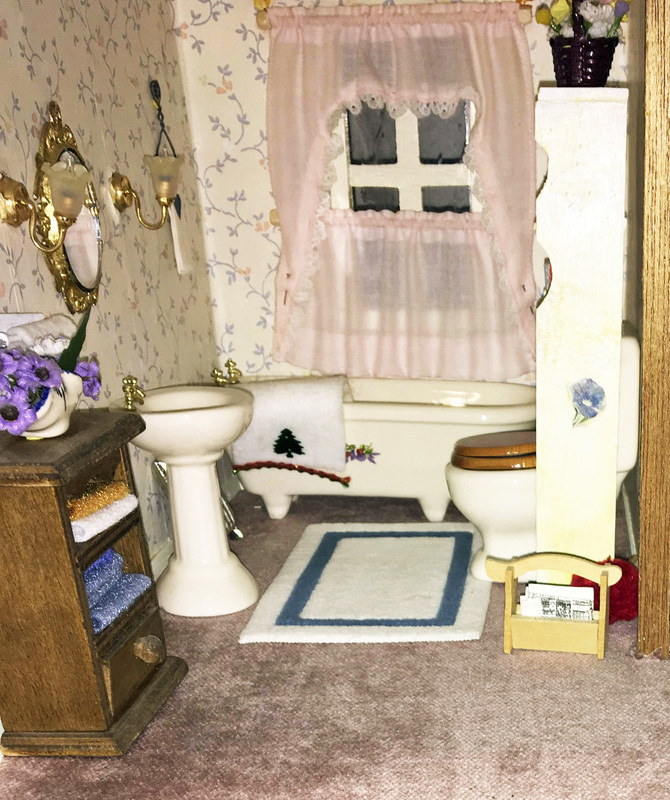 These little houses open in the center and on the bottom have a diagram of the plumbing! 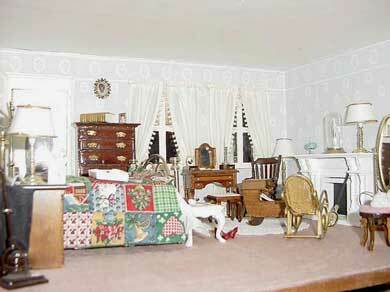 I refurnished the bedroom with some antique German furniture. 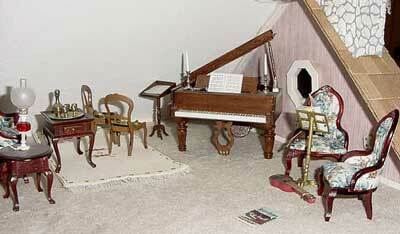 I made the piano from a kit. 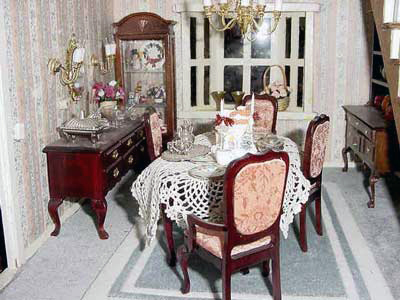 The floral chairs are by Concord. 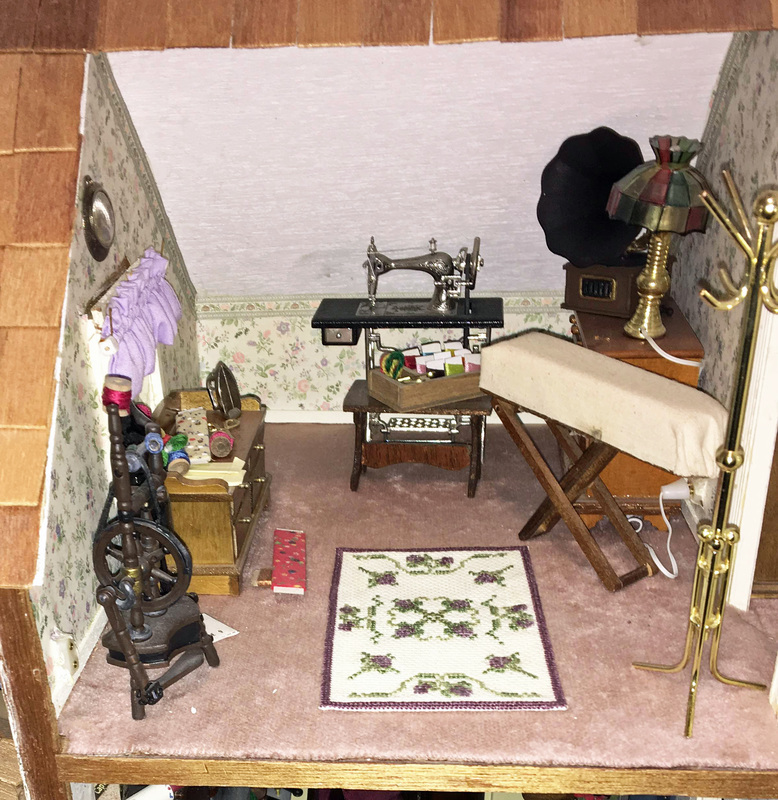 My mom's hobby is sewing, so this room had to be included in her house. 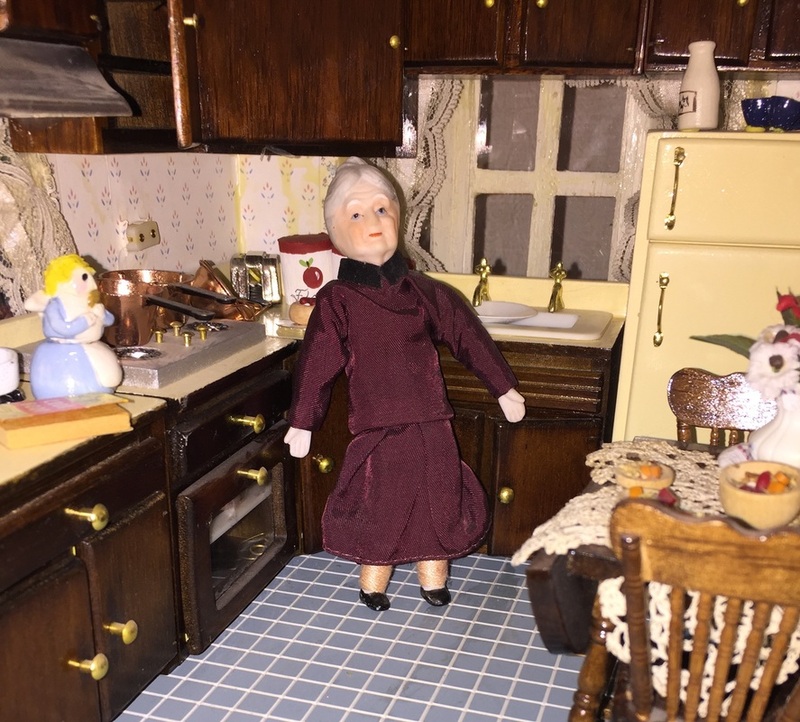 She made many of my dresses when I was growing up. 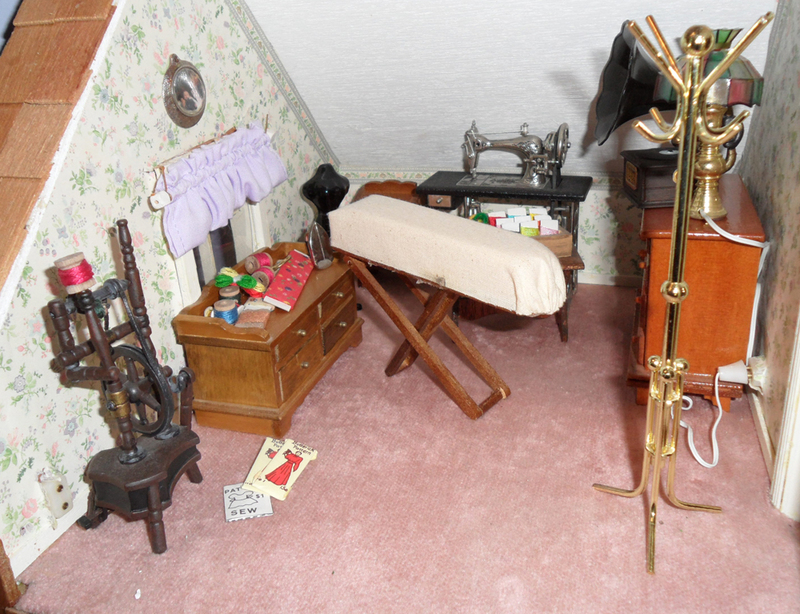 The little sewing machine has a pump foot pedal and is actually threaded! 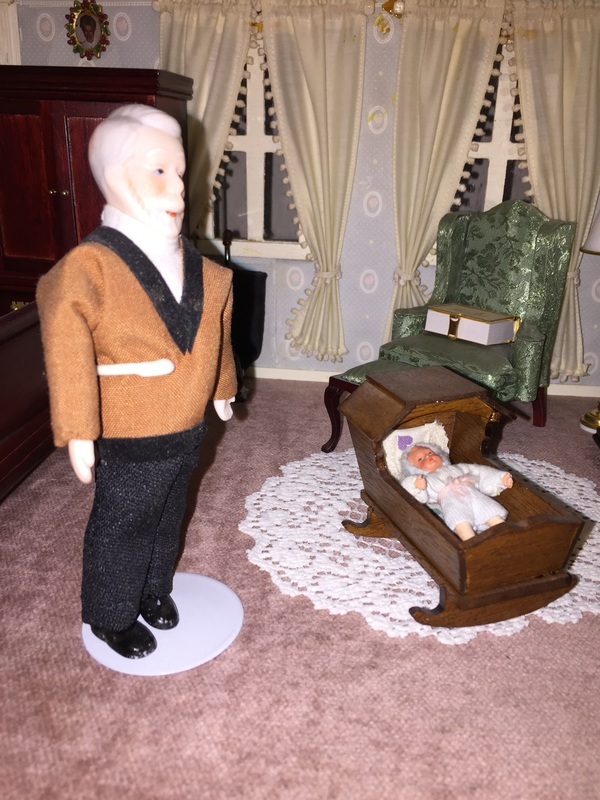 My dad made the shelf over the commode. 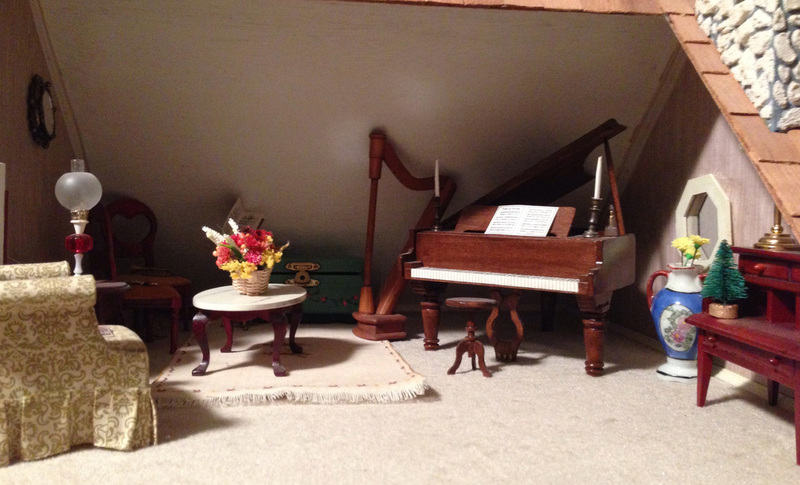 My dad made the little shelf over the comode. 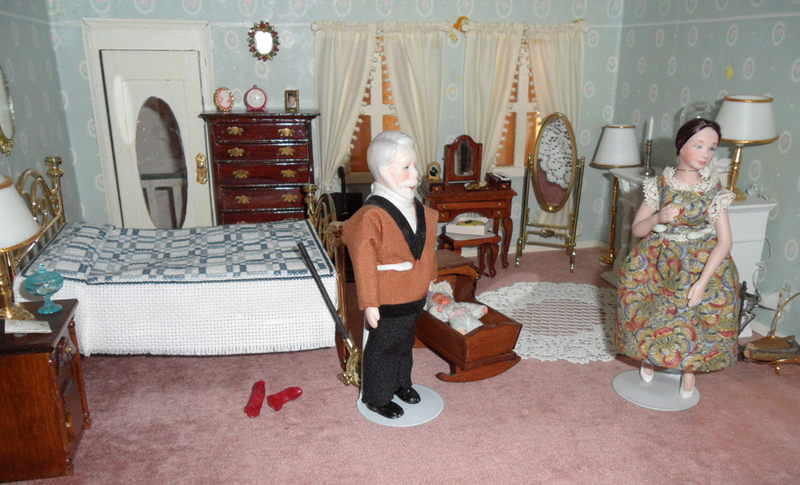 A picture of my youngest son hangs on the wall. 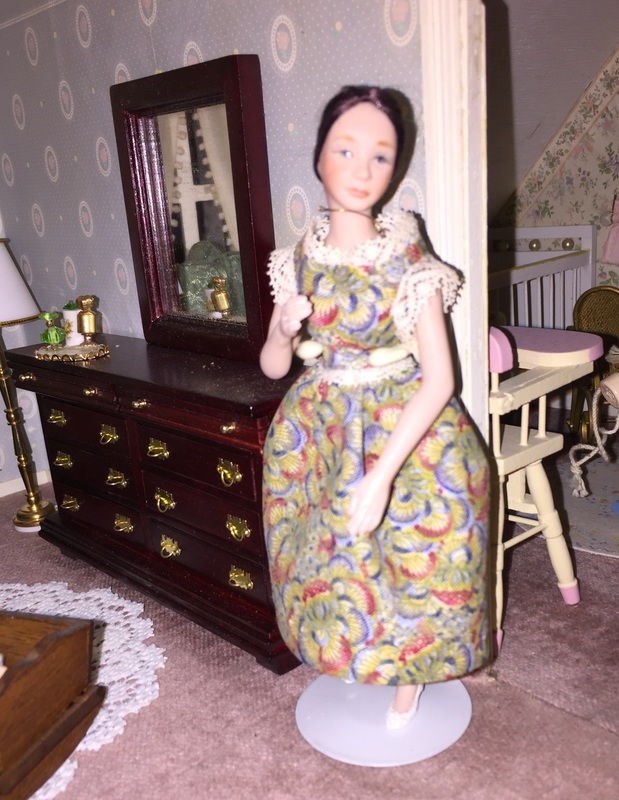 A picture of my mom hangs on the wall. 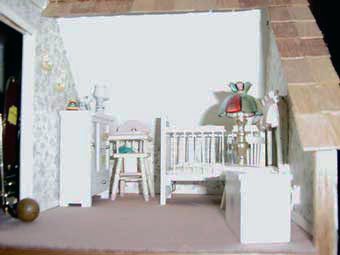 The baby in the cradle is by Caco. 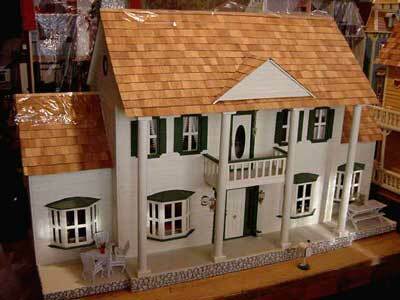 I think my mom designed this house to represent her dream home. 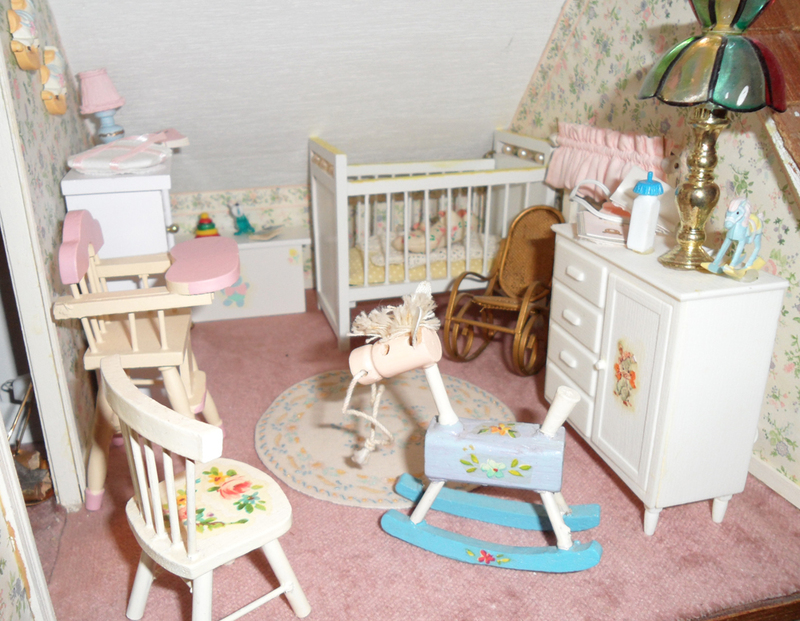 I love the peach colors in this room! 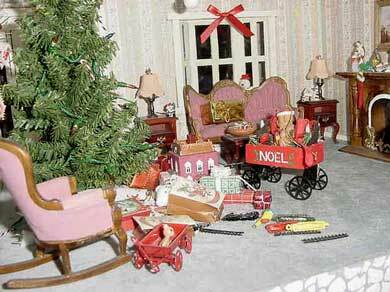 The tree actually lights up! 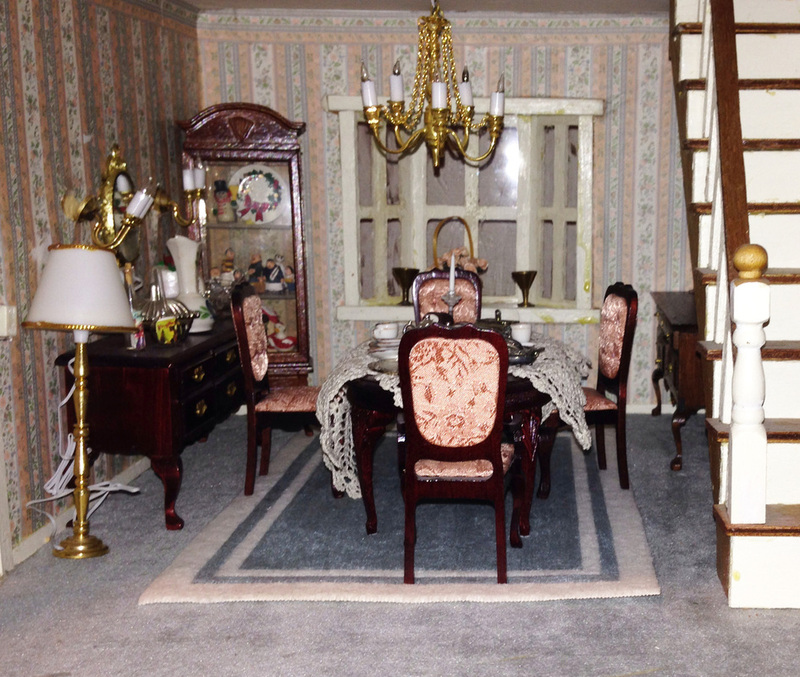 The furniture is by Concord.